Is the phrase 'for God's sake' offensive? 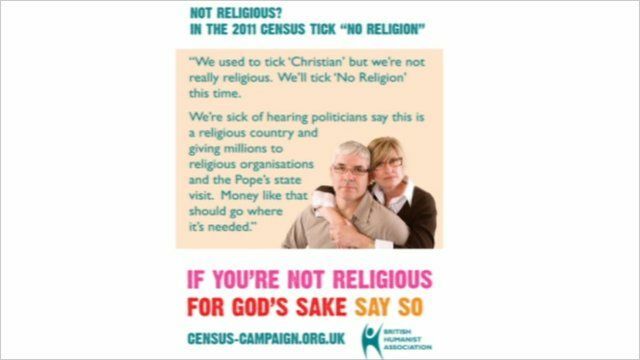 This month posters bearing the slogan - 'If you're not religious, for God's sake, say so' - should have been appearing on billboards near you. But it was rejected in case it caused offence. It is part of the British Humanist Association's campaign linked to the forthcoming census. Would the slogan have upset those who read it or is such an everyday phrase really rather harmless? Ruth Gledhill, the religion correspondent for the Times, and Casper Melville, the Editor of New Humanist magazine, spoke to the BBC.